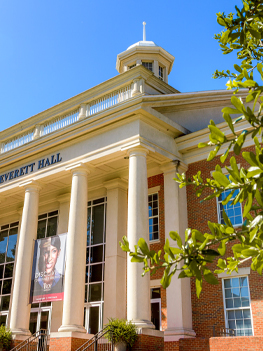 From award-winning academic opportunities to exciting Division 1 athletics events, Troy University provides students around the globe with top-notch learning opportunities—in class and online. 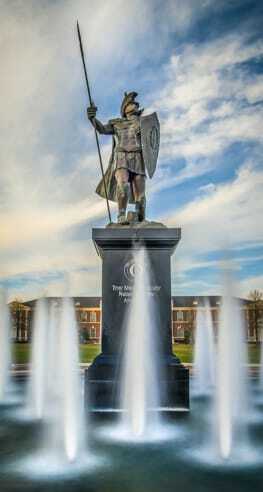 For 14 consecutive years, TROY has been named to The Princeton Review’s “Best in the Southeast” list. 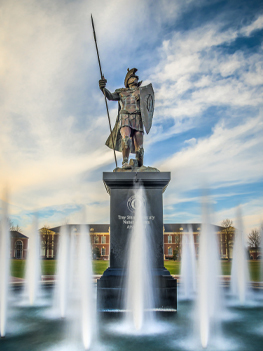 Smaller class sizes, experienced professors with open-door policies, classmates from around the globe, exciting Division I athletics events—what’s not to love about Troy University’s Troy Campus? Every year, students from around the world find their second home in Alabama’s Warrior Region. This is where East meets West. 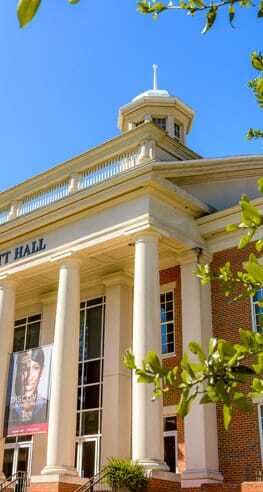 TROY’s Dothan Campus offers a quality, 4-year-university experience. 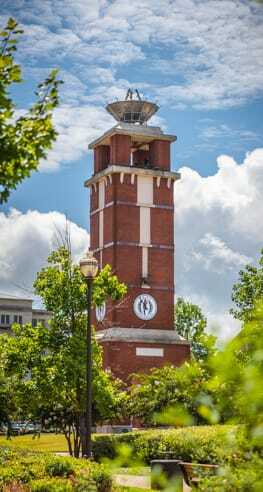 By providing the flexibility needed to juggle work, home and life, this campus has become the academic home of working adults living within Alabama’s Wiregrass and surrounding counties. 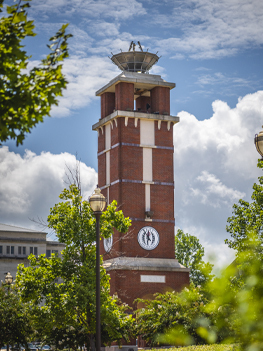 As Alabama’s Capital City continues to grow, one thing is a constant—TROY’s Montgomery Campus remains a haven for students of all ages and backgrounds throughout the River Region who share the common goal of taking their education and careers to the next level. 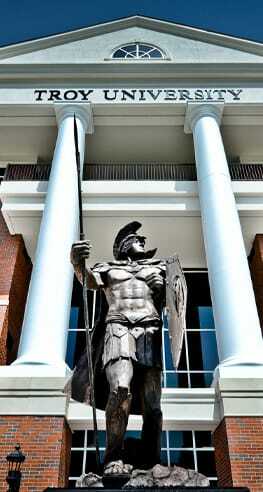 At TROY’s Phenix City Campus, you can finish the degree you started years ago or forge a new path. Here, surrounded by a vibrant, growing city and the longest urban whitewater rafting course in the world, you can take your education and hobbies to the extreme. Here, in the Chattahoochee Valley, you can be and do anything. Earn your degree from a real, 4-year, accredited, state university focused on preparing you to excel in your future career. Every year, TROY equips thousands of men and women who enter their chosen fields career-ready and globally competitive. As a top-ranking educational institution with a reputation of integrity, patriotism and excellence, TROY provides you with value and values. 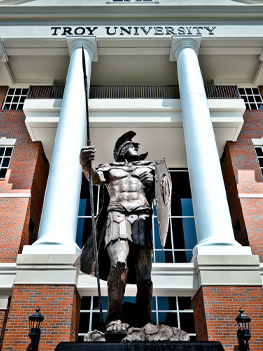 Whether you plan to study in-class or online, Troy University can give you the resources and top-notch academic training you'll need to succeed in today’s global marketplace. TROY understands it’s difficult to balance work, family and your education. That’s why TROY Online programs give you the choice to learn when and where it is best for you. Since the 1950s, TROY has offered distance learners the ability to earn their degrees from an accredited 4-year state university. With more than 1,000 students representing 76 countries around the globe, it’s no wonder TROY is “Alabama’s International University.” On any given day on the Troy Campus you could hear nearly 85 different languages spoken by TROY students, faculty and staff.